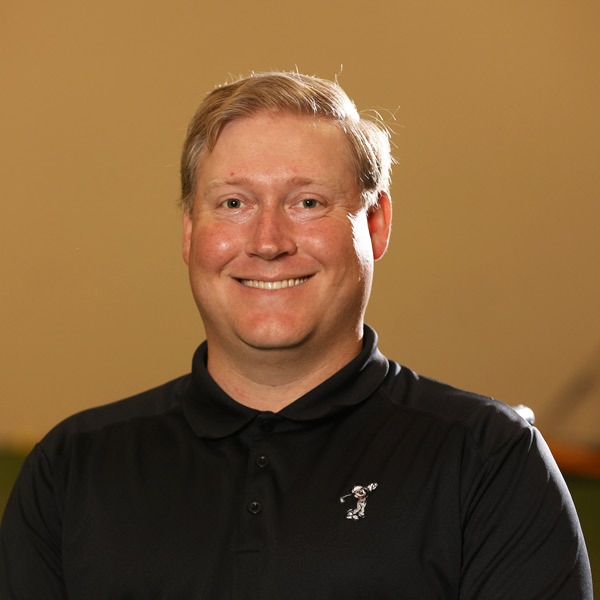 Danny is available for private lessons as well as the various golf instruction offerings for children with special needs throughout Central Florida. Danny is originally from North Dakota, and is a 2004 graduate of West Fargo High School. After graduation, Danny attended Minnesota State University-Moorhead, majoring in Business Administration and Marketing. Danny is also a December 2016 graduate of the Golf Academy of America-Orlando. Danny was born with Spina Bifida and has relied on a wheelchair for mobility since birth. While his disability has presented him with several challenges throughout his life, he has always stayed very active and has always found ways to adapt and accomplish his goals. He has a very positive attitude, and hopes to inspire others to overcome any challenges they may face through positivity and perseverance. He played baseball and basketball for several years during his childhood, and, at the age of 7, he was introduced to the game of golf. He instantly fell in love with the game. At the age of 13, he played 9 holes for the first time, and his love for the game grew even greater. From high school through college, Danny coached youth baseball and worked with kids ages 3-14. During this time, Danny grew increasingly interested in golf and began playing several rounds per week every summer. In August 2015, Danny began a new chapter in his life when he started school at Golf Academy of America-Orlando with plans to pursue a career in golf instruction. Danny’s 10 years of experience coaching youth baseball was the driving force behind his desire to get involved with Little Linksters. He first became involved with Little Linksters tour events in February 2016 as a volunteer, and has taught weekly Little Linksters classes since September 2016. “When we started our original Little Linksters program in 2008, we knew then that golf was an amazing tool to teach very young children many aspects of life as well a fitness and other areas of importance in their development; this new direction however is very, very special and we are very excited” Explains PGA Professional and Little Linksters Association for Junior Golf Development founder, Brendon Elliott. “The idea behind the G.O.A.L.S program is simple, use those core beliefs we have and reach out to children with special needs. Now with Coach Danny at the helm, we really have something special going forward” adds Elliott. G.O.A.L.S stands for Golf Outreach Advances Life Skills. This simple acronym will be the cornerstone of this new offering from the Little Linksters Association for Junior Golf Development. The 501c3 was founded in December of 2011 as a spinoff of the original Little Linksters program that was founded by multiple award winning PGA Professional Brendon Elliott in 2008. “The objective behind the G.O.A.L.S. program is to bring the game of golf to all children regardless of disability. Golf teaches skills that will help these children in every aspect of their life. The need is there and it is great. Community support is crucial.” explains Elliott. One of the first students with special needs to come to Little Linksters was, at the time, 9 year old Marcus. “At a time that my staff and I were just starting early discussions about introducing a program such as G.O.A.L.S., we received a phone call from Marcus’s mother Paola. She had signed him up for one of our sessions but was somewhat hesitant to let us know about his having Cerebral Palsy. She explained that he had tried other sports and activities but had not yet found “His Thing” or something he could call his own.” Elliott explains. “To see my son smile and feel proud when hitting that golf ball is what I pray he will feel in everything he does. To be able to enjoy and be proud of himself, regardless of the limitations, is what the Little Linksters has brought him.” Marcus mother explains. “Marcus was the spark that ignited the passion for myself and my staff to take action on an idea that could be so beneficial for so many children.” Elliott said. “Thank you for your understanding, patience and the support you have given my son Marcus! I knew I found the right place when he said “Mom, I am a golfer now, let’s celebrate” after his first lesson.” Paola said. In 2015 and 2016, financial support, through grants from the Alliance for Accessible Golf and the Jordan Spieth Family Foundation has helped in getting the program moving in a good direction. “Jordan’s donation at the end of 2016 was significant and really is going to help in a major way in 2017” said Elliott. “The idea ultimately is to reduce our costs and the fees we have to charge parents for all our programs as much as possible and give more children the chance to take part. We also would love to spread our mission and program outside of Central Florida, the state and eventually the country.” Explains Elliott.